GC80 digital X ray machine can automatically locate in more than 500 observation positions. S-Vue technology provides enhanced clarity and clarity for images, while lightweight and ergonomic S detectors provide a complete wireless radiation environment. The GC80 consists of a guide rail, a rack, a ball tube, a beam limiter, an operating table, a high-voltage cable (optional), a photographic bed and a photographic frame. 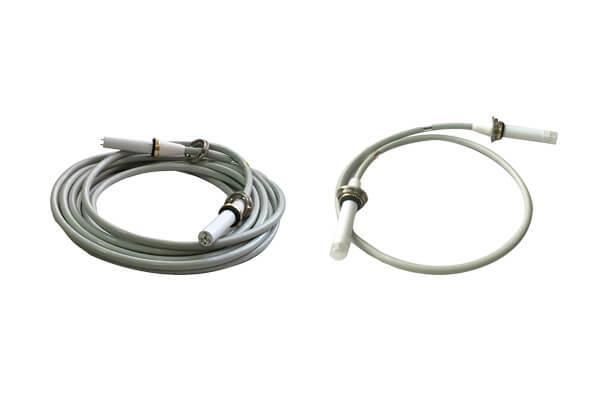 Newheek’s high-voltage cable can completely replace AB trade’s GC80 high-voltage cable, also can replace AB trade’s GU60A, GF50, GM60A and other models of high-voltage cable, cable length can be freely matched, has been sold to many countries, become the preferred brand X-ray machine replacement of high-voltage cable.